Have you ever been afraid to go on a mission trip? Maybe you had someone paint a scary picture of the place you were considering going to. Perhaps news stories have tainted your view. Although there are a few places in the world where you could travel that would put you in danger, the reality is, most of the "scary" places we have heard about, are really not that scary after all. If we are not careful, we too could easily be caught up in sensationalized media that would rob us of some amazing experiences around the world. I have talked with countless people who have let fear win out, and unfortunately, miss out on a whole lot of awesome! 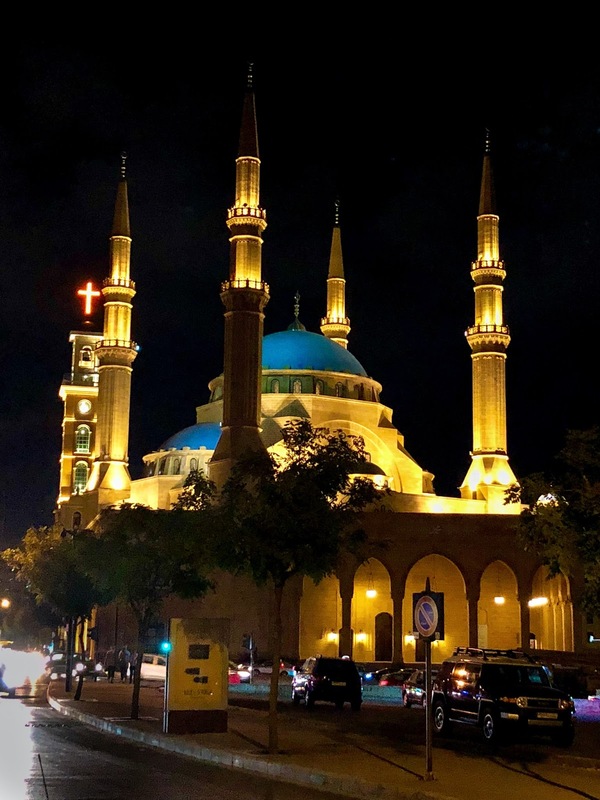 I have to admit, the prep work for my recent Lebanon trip was an anxious time. I had to fill out a lot of paperwork that consisted of release forms loaded with a bunch of worst-case scenarios that could happen to me on this trip. For a moment, I wondered what I was getting myself into. I visited the travel.state.gov website for Lebanon and was greeted by the following opening paragraph...The Department of State warns U.S. citizens to avoid travel to Lebanon because of the threats of terrorism, armed clashes, kidnapping, and outbreaks of violence, especially near Lebanon’s borders with Syria and Israel. Oh boy! The history of Lebanon is complicated. There have been times of peace and flourishing, but also times of war, ISIS threats, and challenging borders. Up until a week or so before my trip, ISIS was literally being driven out of the last areas in Lebanon. 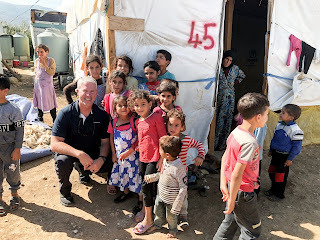 With all of this in mind, I knew God had called me to go and look for ways to help out in a really bad refugee crisis. I had to put my fears aside, be obedient to God's call, and go. I sent a few emails off to our host team and they assured me that everything was fine and that they had worked very hard to ensure our safety. When I thought about it for a minute, I would be traveling with some amazing leaders that represented a pretty big VIP payload. Forget about me, I figured there would be no way that anyone would risk taking those people on a trip where their lives were at risk. At least that was what I hoped. The more I spoke with our trip leader, and the more I did my own homework, the better I began to feel about this trip. Even Trip Advisor has tons of reviews of people recently traveling to Lebanon and feeling totally safe. There are so many things in life that can cause fear. Fear of the unknown probably tops the list. Anytime we try something new, fear is right there wanting to rob us of a new possibility that might just be a pathway to a life-changing experience. When I think about it, almost anyone who ever did anything significant, had to get over fears. Think about John Glenn orbiting the earth for the first time... Neil Armstrong walking on the moon for the first time... A kindergartener going to school for the first time... and yes, traveling to a foreign country for the first time. Being afraid of something is a real feeling, but I have learned and vowed not to let fear get the best of me. Because of that, I've had some amazing experiences, gone to some amazing places, and been a part of some amazing God-sized stories. At first, fear was hard to get over because I'd never done it before, but over time, pushing past fears has become more of a reflex. My challenge to all of us is, be wise, but don't let fear rob you of something awesome God wants to do in you, and through you. You will never walk on the moon if you never strap yourself into a rocket ship! Stay tuned as I take you through the backstory of one of my visits of a lifetime, visiting Syrian refugee camps in Lebanon. Thank you, I look forward to hearing more.